Using his mothers' maiden name, Sam Outlaw has only been on the Country scene since 2014. He's had a lot of 60s and 70s Country influences from the radio, which then inspired his sound and releases. After releasing his EP in 2014 and performing at California's Coachella festival, he's worked with some legendary producers including Roots legend Ry Cooder to record and perfect his debut album Angeleno, released today. 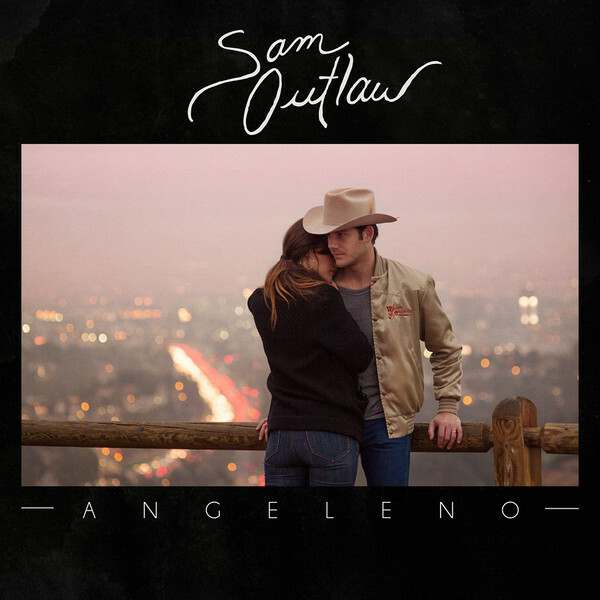 Outlaw's SoCal Country sound is interlaced throughout the entire record, as 'Who Do You Think You Are' sets the scene with a slower song, reminiscent of Country heard on someone's old record player from the 50s, but that isn't a negative thing at all, the single and in fact the whole album is bringing the past into the present, focusing on older music rather than the modern Country from today's artists. Other tracks 'Love Her A While' and 'Keep It Interesting' bring up the tempo from all the ballads, but when listening to them, it can't be helped noticing that the opening 10 seconds sound very similar. The lyrics are different in both of them, but the only other difference is the tempo, which is a shame because they could have been so brilliantly unique. 'Ghost Town' was the lead single from Angeleno and it's easy to see why - it's about driving home (something written about a lot in Country) and driving through a ghost town, with easy to understand lyrics and a catchy beat, it's a perfect song to show off what Outlaw can do, being the highlight of the album. You can buy Angeleno on iTunes and Amazon (US | UK ), with it also being able to stream on Spotify. You can follow Sam Outlaw on Facebook, Twitter and Instagram to see what he's up to. Don't forget that if you want to vote for me in the UK Blog Awards, you can do so by clicking on the image in the sidebar of my blog or click here.